June 12, 2011 Daily Photo. 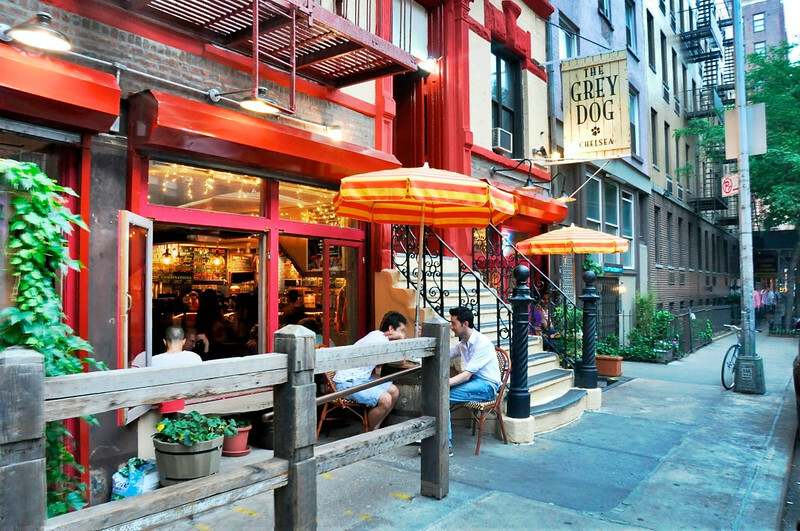 The Grey Dog cafe in Chelsea, New York. I used a HDR program for this image. Probably not the best scene for an HDR. Very well done! Love the scene & the comp...! I like it! And the HDR is not overdone at all, either. Although I love the colors in the umbrellas and door/window frames, I find myself wondering what this would look like in black and white. Great scene. I like the pp! Seems like a good scene for the HDR to me! Nicely done!